It is not often that a young scholar of international relations takes the plunge to offer original insi­ghts, based on extensive research, on the evolution of India’s foreign policy, with particular reference to the Cold War period. In Power and Diplomacy, Zorawar Dau­lat Singh has not hesitated to question the ana­lysis and assessments of prominent Indian and foreign scholars and has come up with some persuasive interpretations. He deserves commendation, even tho­ugh his conclusions may be contested. Zorawar’s main thesis is that during the first 30 years after Independence, Indian foreign policy was influenced not merely by material factors, such as economic and military capabilities and regional and international environment, but also the choices made at the ‘apex’, consisting of the prime minister and his/her small band of advisers. Indira’s incorporation of Sikkim is contrasted with Nehru’s conceding space to Himalayan states but he faced ‘realpolitik’ problems too, like in the Goa action and the Indo-Nepal treaty. Nehru and Indira followed different approaches in handling foreign policy challenges. But there are instances of Nehru’s ‘realpolitik’ predilections, such as the incorporation of Goa into the Union in 1961 through armed action. The restoration of King Tribhuvan to political leadership in Nepal in 1950 and the terms of the Indo-Nepal Treaty do not reflect a non-intrusive stand towards the Himalayan state. 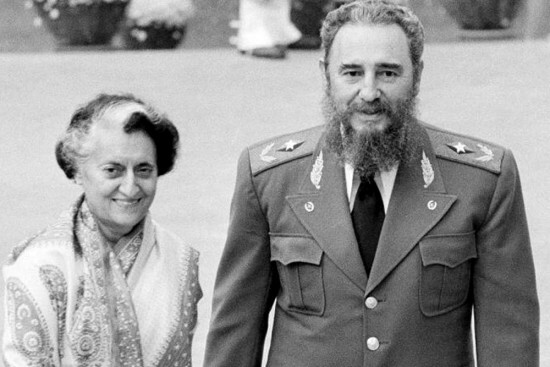 Nor did Indira abandon India’s international activism entirely, being a visible presence in international fora like the World Environment Confer­ence in 1972. She played a role in energising the Non-Aligned Movement, culmi­­na­­ting in the convening of the NAM summit in New Delhi in 1983. This is not to refute the main thesis put forward by Zorawar but to argue that his sharp delineations should not obscure the fact that we are dealing with leaders with complex personalities. Their foreign policy actions were also influenced by difficult challenges of nation-building. The impact of these domestic compulsions may not be very clear from the archives but they are a major influence. The concluding chapter is recommended for its clarity of thinking and for the balanced appraisal it provides on the evolution of Indian foreign policy during the Cold War and beyond. The wholesale trashing of non-alignment as an appropriate foreign policy during a formative stage of the Indian state, its characterisation as a policy of moralism and idealism, as Zorawar argues, “simplifies and obs­cures Nehru’s peacemaker role and its complex regional images” and misses the important shifts brought about by Indira. Part of the problem lies in conflating policy substance with its rhetorical packaging. I believe there are important continuities in India’s foreign policy and these are anchored in India’s geographical location, its historical and cultural sensibilities, its determination, since independence, to never again have the destiny of its people determined in foreign capitals and to see a role for itself in the world. This underlying reality is the template on which successive leaders have played their part, each with his/her own belief set and temperament. Power and diplomacy is an absorbing exploration of the drivers in India’s foreign policy and contains pointers to where we may be headed in a changing world. Talks with Pakistan must continue. It is mildewy strategy that should go.